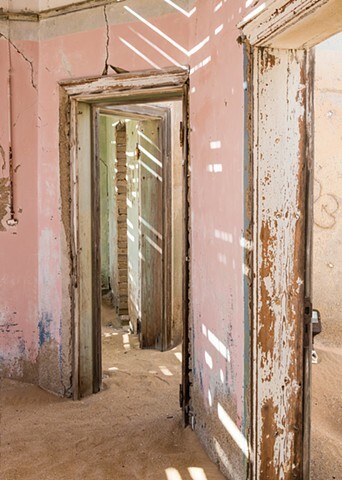 Where others describe Kolmanskop as sad, deteriorating or decaying, I see it with a different lens. To me it is full of life, the beautiful colours, the lines of the dunes, and the spectacular scenes created through old doorways. I think it is amazing to have a town that people travel from afar to see and photograph, 56 years after it was abandoned.